and has been field-tested for accuracy. ** Please note that your credit card will be billed $1.00 by Local Search For Dentists. There are no other charges. Our 100% Money Back Guaranteed Dental Marketing Game-Plan has helped 1000's of dental practices all over the world take control of their marketing by first diagnosing their problems, then helping them solve them. 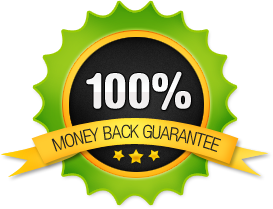 We are so sure that it will help you do the same that once your game-plan is complete, we will gladly refund your $1.00 investment. Why nearly everything you’ve been told about “what’s important to have on your website” is FALSE!! Why and Where you're bleeding money (every time we talk to a doctor we find $10-20,000 in LOST production). It's like hitting the lottery! Whether your “friendly” local competitors are stealing your patients from under your nose! How To Attract The “New Breed” Of Patients Who Are EASY To Convert, EASY To Care For & Readily Stay, Pay & Refer!! What you're doing wrong, and right, Graig will craft customized recommendations and a full action plan for your practice, so you can plug the “holes in your bucket”. How To Attract 20% More Patients Using Google Adwords A “How To” Guide For The Dentist Who’d Just Rather Be Chairside, Poolside or Sitting In A Golf Cart"
If you're serious about making the most of every minute you and your staff spend on web marketing, then I strongly encourage you to take advantage of this special discount offer for our "doctors only" Internet Marketing Game-Plan and find out what's holding your web marketing from reaching its full potential. I'm only offering this Internet Marketing Game Plan for a $1.00 deposit for a short period of time. Once the calendar is full, I'm shutting it down. BUT it's first come first serve.